finally a book for the average person! 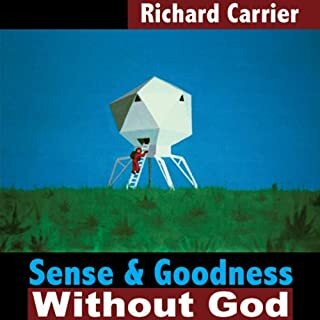 What did you love best about Sense and Goodness Without God? I could relate my own life journey to that of Richard C. even thou I am 80 years old. What about Richard Carrier’s performance did you like? He is truthful and honest and credits science and history for his conclusions. I related my own life experience to his story and with a few years difference my story would be very similar. I plan to buy this book for each of my children and grand children plus the great grand children. Plus this book will be my gift to everyone I know. Richard should hook up with Neal DeGrace Tyson as both of them have the gift to explain to the average person.